Confirm Forestry Details for Minister Bilious Japan (Made contact with Canada Wood and Alberta japan Office. Information passed onto AFPA delegates on Minister Bilious Delegation. Attendance to 2016 show was up 12% compared to 2015 attendance. There were 107 visitors to the booth up 30% from last year. The number of foreign visitors were also up, especially from South Korea. 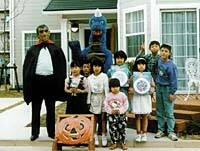 The Japan Federation of Housing Organizations, Judanren, is the leading organization in the housing industry in Japan. Authorized by the Ministry of Land, Infrastructure and Transport, Judanren was established in 1992 by housing and housing-related associations to serve its members, the housing industry, and the public at large. The association was founded in January 1963 and in 1964 became incorporated under the jurisdiction of the Ministry of Land, Infrastructure, Transport and tourism (MILT) and the Ministry of Economy, Trade and Industry (METI). In October 2013, the association refocused and changed direction and now focus development on prefab architecture as well as its construction and propagation. The Housing Committee comprises 20 prefab housing manufacturers. Playing a leading role in the industry, it engages in activities with the aim of creating high-quality living spaces and residential environments and realizing a rich society full of vitality, through both construction and R&D of industrialized housing. The Housing Committee aims to create new technology, cultivate new fields and promote a high-quality supply system in industrialized housing—an area of expertise—and it is playing an active leading role in promoting and popularizing “housing that can be actively utilized into the future.” It is also striving for technological ways to meet the challenges of revisions in the Building Standards Act and certification regarding industrialized housing. The Housing Committee is working to raise the supply service level and quality of housing by drawing up supply service management standards for prefab housing. It is also drawing up a “medium-term Customer Satisfaction (CS)/quality plan” in order to achieve CS over the long term, and working to raise the CS/quality level further among each of its member companies. The Housing Committee is promoting the creation of a market for good stock and aiming to introduce leading technology and high-quality supply systems into the field of housing stock through its efforts to promote the spread of long-term high-quality housing, favorable local environments and town planning. 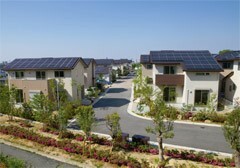 The Housing Committee is aiming for the realization and spread of netzero-energy housing. It is also drawing up an environmental action plan “Eco-Action 2020” for the purpose of contributing to the realization of a sustainable society through efforts in consideration of preservation of biodiversity to promote sustainable wood sourcing and greening and to promote the reduction of waste and CO2 emissions throughout the housing life cycle. It is making steady progress toward achieving these goals. In order to create better housing and an improved living environment, the Housing Committee is proactively providing appropriate information to residents, aiming for establishment of mechanisms for achieving safe and secure living over the long term. It is proactively holding lectures and symposiums, and releasing the results of its surveys and research. “Japan Two-by-Four Home Builders Association” is the incorporated organization of wood frame building contractors, building materials suppliers and architect’s offices. It was established in 1976 and officially recognized by the Government to be of public interest, and now it consists of more than eight hundreds of member companies/professionals from almost everywhere in Japan. This association has a long history working with Canada Wood on the promotion of 2X4 house building, especially in Hokkaido Prefecture. Find your nearest regional office here. The inquiry and the guide chart to the society secretariat are here. Continuously striving to achieve quality homes and comfortable living. Planning and administration are the core activities of the Machinami Foundation. The Foundation collaborates with and organizes housing-related organizations, including the Urban Renaissance Agency, regional housing supply corporations, rezoning associations, private sector developers and other residential land companies, housing manufacturers, home builders and general construction contractors, to supply high-quality housing and townscapes. To achieve these goals, they bring together experts and businesses with the necessary skills in such areas as planning, market research and technical expertise. The role of the Machinami Foundation is to coordinate these elements. The National Housing Industry Association was founded in April 2013, when the Japan Housing Construction Industry Association and National Association of Housing Construction Industry Association were newly consolidated and established. The association has 1,500 companies concentrated in The Tokyo Metropolitan area, Okinawa and Hokkaido Prefectures. They plan to expand into the rest of the country overtime. and promotion of good living environment. Public outreach through media and publications. Established by the Ministry of Construction (now the Ministry of Land, Infrastructure and Transport) in April 1986.
production technology and market distribution of wooden houses etc. And build awareness of Government organizations, and sister building organizations that promote wooden building construction. Living amenity association (ALIA) arose from the reorganizing the BL promotion council founded in 1976 to promote the development and dissemination of high quality residential parts (BL parts) in a progressive development in October 1990 , It became a general incorporated association corporation from April 2012. To promote housing comprised of functional and high quality housing components and to create a comfortable living spaces. To promote the revitalization of housing and living industries by transforming into a housing stock utilization type market. Promote rigorous and standardized inspections focused on defects, deterioration and abnormalities. Repair and maintenance systems are evaluated for effectiveness. Founded in September 1996 with the aim of contributing to technology development, guidance and dissemination of CFT (Concrete Filled Steel Tube) construction and realization of a new urban apartment house It was. The association celebrated the 20th anniversary of establishment in September, 2016. In order to respond to the new era and to further develop, they changed our articles of incorporation and reviewed the “New City Housing Association Vision”. Basic principle The Association will organize groups and individuals that create safe, comfortable and sustainable urban residential environments, and work together to create richer and more vibrant cities, and fulfill a social mission as a public interest group. Promotes research on technologies related to earthquake resistance, disaster prevention and energy conservation of high-rise, high-rise apartment houses. Promotes technology development related to the improvement of performance of fire-resistant coating and fire-resistant coating made by CFT. Promotes technological development such as pre-stressed concrete construction and building basic structure, and try to develop new design methods and improve longevity. Today, in the Japanese housing market, the perception of “Imported Houses” is well recognized, and an increasing number of consumers are willing to take a closer look at the advantages of building or buying imported house. This trend is because more Japanese consumers are becoming familiar with the design concept of imported houses which are very different from traditional Japanese designs, and because more consumers understand the advantages in quality and performance of imported houses. In April 1995, companies and organizations that have a role in the imported housing business joined hands to establish a promotional organization, Imported House Industrial Organization (IHIO). For future prosperity of the imported housing industry, it is essential to win consumer confidence in the quality of imported houses and to develop new markets for imported houses. The IHIO aggressively tackles obstacles hindering construction of more imported houses, and strives to contribute to the improvement of the housing industry in Japan. For further development of imported housing industry and for the prosperity of the business, the IHIO is currently tackling the following challenges. It is important to improve the market environment for healthy growth of the imported housing industry under the free market system. For example, relaxing of some regulations and restrictions will lead to freer and more practical economic activities. This will improve the competitiveness of imported housing. The IHIO promotes deregulation by lobbying governmental and municipal authorities. Also important is to reduce the cost of constructing imported houses to be competitive in the market place. In order to provide good quality imported houses at a reasonable price to homebuyers, the cost of imported building materials, the cost of ocean freight and local delivery, and the actual construction cost which weigh greatly in home building, need to be evaluated closely. Life of houses is long, and maintenance and care for the houses are required. Because of this the imported housing industry has to look at the maintenance and care of the imported houses thoroughly. The challenges are not limited to the above mentioned, and the IHIO aims to address each of these existing as well as future challenges in order to bring about healthy growth in the industry. For further development of the Imported Housing market, it is essential to let it be known about the advantages of living in imported houses. For this objective, the IHIO holds the following activities on a regular basis. Open House Events, Seminars and Symposium Active networking with overseas suppliers Publication of various books and booklets Management of a library dedicated to imported houses. As an important part of the IHIO, networking opportunities are held aiming to discover or develop excellent building materials suitable for the Japanese market. From time to time, such prospecting missions overseas are organized and carried out. One of most important functions is to be the information source in the field of Imported Housing. For the members of IHIO, there is “I-House” magazine, that is filled with up to date and timely professional information and photos. The constant improvement of the quality of products and services, as well as building skills and technologies is important. The IHIO is the leading organization in promoting these through numerous study and training sessions. Up to date information on the market trend and governmental regulations is very important for the members of IHIO, as well as those in the housing industry. The IHIO conducts studies and surveys to maintain the latest data in the field and share them among the members and authorities. The IHIO has been the key provider of opinions and feedbacks towards governmental policy changes and revisions in regulations. On the 1st of October, 2009, a law was enacted that all houses built and sold must be assured of minimum quality requirements. The IHIO provides insurance to guarantee that these requirements are met for homeowners who purchase houses built by the members of IHIO. Although, the new regulation requires newly built houses to meet the minimum requirements, it does not apply when the problems lie in the performance of the residential lots. This insurance covers for damages in such cases. The main body of the IHIO is the “GENERAL ASSEMBLY” by all members. The day-to-day operation of the organization is directed by “IHIO Steering Committee”, and conducted by various committees which report to the Steering Committee. Listed hereunder are committees that are currently active. Plans and executes public relations activities in promoting imported houses in the market. Intelligence gathering and managing, research and development for the benefit of the imported housing business fall under this committee. Plans and executes activities promoting proper interpretation and application of the laws and regulations relating to building of imported houses. Also this committee is responsible for planning and execution of quality assurance, maintenance of quality standards, and after-construction services by the members. Another important function of this committee is to plan and execute activities in acquiring higher standard of construction technologies. Manages Life-Style Planner Certification Program to train human resources to promote benefits and advantages of living in imported houses. It also provides consultation to people in fulfilling their life style from a view point of house planning. Japan’s third quarter GDP beat expectations by registering a 2.2% increase on an annualized basis. So far this year Japan’s GDP expanded 0.5% between January and March and 0.2% April to June. Although consumer spending remained flat, third quarter GDP growth was boosted by an increase in exports. Meanwhile, Japanese equities and the yen exchange rate abruptly reversed trends after the surprising results of the U.S. presidential elections. The Japanese yen registered gains and equities fell on the political uncertainty leading up to the elections. However, in a post-election environment the Japanese weakened from 102yen to the dollar to 110 yen to the dollar. As a result the Nikkei 225 index surged from the low 16,000 level to over 18,000 in the past month. Despite the results of the US election, the Japanese government continues to advocate implementation of the TPP agreement. Japan’s lower house passed the TPP in early November and ratification in the LDP majority upper house is merely a formality. Japanese officials also met with the 11 other TPP signatory nations in Lima, Peru to push for the formalization of the agreement. According to Japanese government estimates, the TPP would create 800,000 jobs and sustain GDP growth of 2.5%. Although the prospects for TPP remain uncertain given president elect Trump’s opposition, the Japanese government continues to advocate a pro-trade stance. August total housing starts increased 2.5% to 82,242 units. Single family owner occupied housing registered growth of 4.3% for the 7th consecutive monthly gain. Rental housing posted strong growth of 9.9%. However, the mansion condominium market declined 12.7%. Total wooden housing increased by 7.9% to 48,717 units. Post and beam starts improved 7.6% to 36,470 units. Wooden pre-fab starts were down 12.3% to 1,143 units. Two by four starts posted an 11.7% gain to 11,104 units. By housing type 2×4 custom ordered single family homes increased 8.1% to 3,110 units; rentals surged 16.0% to 6,877 units and built for sale 2×4 spec housing declined 4.4% to 1,086 units. As of the end of September British Columbia year to date softwood lumber exports to Japan totaled 1,586,815m3: a decrease of 4.5% compared to year prior figures. By value year to date exports totaled $530.1 million – a decrease of 5.4%. By species groups, SPF shipments remained comparatively stable with a 0.1% decline to 1,150,578m3. In contrast between January and September Hemlock decreased 12.1% to 199,715m3, Douglas Fir fell 14.1% to 156,586m3 and Yellow Cedar fell 22.8% to 48,728m3. On November 10th Canada Wood held our second Canadian Lumber School Symposium for the year in Nagoya. A total of 52 participants from forest product trading and distribution companies, housing companies and lumber processing end user companies attended. All attendees found the event to be either useful or very useful according to participant survey responses. Four presentations were delivered over a half day event covering topics such as sustainable Canadian forest practices, forest product manufacturing as well as species and product specific discussions on Canadian SPF, Hem Fir (N) and Coastal species as well as OSB. Participant survey responses included the following comments, “I was able to better understand about the history behind Canadian Wood and the changes in the Japanese market.” and “You conveyed the main points of Canadian Forestry in a very easy to understand manner”. Building officials from Japan visit Wesbrook Village on the UBC campus. To support the development of midrise wood construction in Japan, Canada Wood’s Fumoto-san led a group of building officials from Japan, who participated in the Canada-US-Japan trilateral meetings in Montreal September 26 to 28, on a recent visit to Wesbrook Village at the University of British Columbia campus – a typical wood 6-storey residential community. Up until recently 6-storey wood buildings were impossible in Japan due to the 2-hour fire resistive performance requirement. But thanks to the joint efforts of COFI and the Japan 2×4 Home Builders Association conducting a series of fire testing, we have successfully obtained the 2-hour fire resistive approvals from Ministry of Land, Infrastructure, Transport and Tourism (MLIT). Now that the 2-hour fire resistive approvals have been obtained, it is extremely important to educate code and building officials on the popularity of midrise wood buildings in Canada. The visitors to Wesbrook Village included the Director of Wood Housing Promotion Office in MLIT and Chief Research Engineer of Department of Fire Engineering in Building Research Institute. While purchasing complete ownership of a dwelling might amount to several times one’s annual income, purchasing a real property right or any other right relating to the use of a specific time-share dwelling for a specified period of time each year could be quite affordable. Time-share dwellings have become quite popular in foreign countries. For instance, around 4% of the households in the U.S. held a right-of-use of a time-share dwelling in 2007. While the supply of time-share dwellings could promote multi-habitation, local tourism and housing-related investment, there are several problems related to consumer protection. 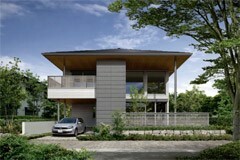 Therefore, in order to examine the need to promote time-share dwellings in Japan and to discover effective schemes to protect the rights of purchasers, the Ministry of Land, Infrastructure, Transport and Tourism (MLIT) initiated a Research Group on promoting the supply of time-share dwellings in May 2008. 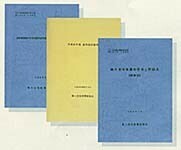 In August 2008, MLIT issued a report summarizing the work of the Research Group (please refer to <http://www.mlit.go.jp/report/press/house03_hh_000004.html> for the report (only available in Japanese). In fiscal year 2009, MLIT earmarked 15 million yen to support those who develop effective schemes for the provision of time-share dwellings, and called for proposals from May 20th to June 19th. Among the five proposals forthcoming, three were chosen by the evaluating committee. The sponsors of the three proposals chosen developed model schemes to supply time-share dwellings and submitted their results at the end of fiscal year 2009. The main reports, model contracts, etc., which were submitted by these companies, as well as the evaluation of the results by the committee, can be downloaded from the MLIT homepage.